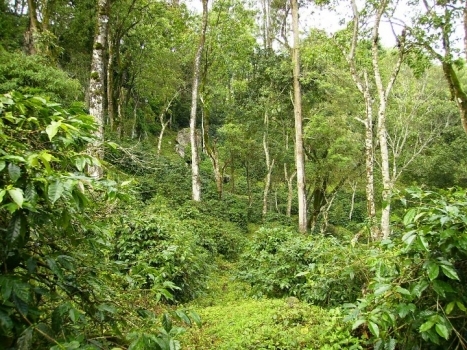 Balmaadi estate is situated in the Nilgiris district of the southern state of Tamil Nadu in India. It is part of the O�Valley group of plantations that were developed over 150 years ago by an enterprising Scotsman, John Ouchterloney. 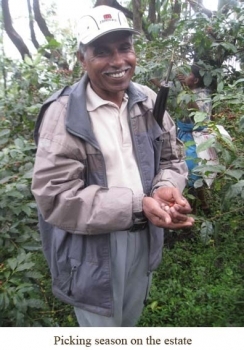 At Balmaadi we grow coffee, tea,cardamom and stevia at an elevation of 4000 � 6000 ft above sea level.A valley, so full of life, so untouched by the rough hands of man, needed to be protected from the ravages of chemicals and harsh modernization. To us the solution was self evident � adopt the least intrusive agricultural practices. To this end, we at Balmaadi practice a mix of ancient Vedic methods coupled with the Bio-dynamic methods advocated by Rudolf Steiner. 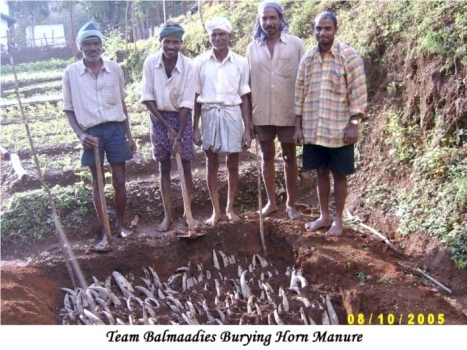 We make our own compost, liquid manure and cow horn manure, silica et al. �Pachagavyam�, which is concotion of 5 products from the cow i.e .milk, curd, ghee, dung and urine are fermented in time honoured proportions and sprayed as a tonic. At sunrise, we salute the sun god and make a small offering invoking his blessings. 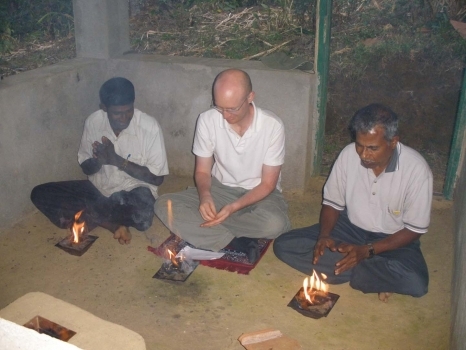 This is called �agni hotra�. The ashes from this offering are sprinkled all over the estate as a pest repellent. Come November and it is harvest time at Balmaadi. The �Just Ripe� berries are hand picked, pulped, fermented, washed and sun dried on tables. At no stage in the processing are chemicals used. The slow dried parchment is packed in clean, vegetable based jute bags and stored at an ambient temperature awaiting further processing into clean coffee. 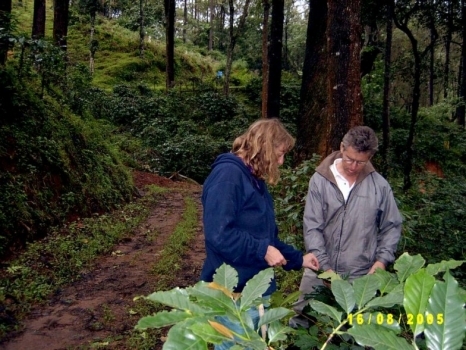 Balmaadi is a small producer of niche, superior quality, high altitude Arabica coffee. Stringent standards of excellence as set by Coffeelab, Bangalore and IMO, Switzerland are our benchmarks. We are proud of our coffee and vouch for its excellence in quality. Everyone at Balmaadi is trained in organic methods. They recognize its significance as compared to modern practices and appreciate the value it adds to the quality of their life. Many, marvel at the rich humus content of the soil, but we realize that we have miles to go before we achieve our goal. A feather in our cap at this early stage, is being awarded the � Flavour Of India, Fine Cup Award, 2004,� for India�s best Arabica coffee and also the best Arabica coffee in the Nilgiris region. These encourage us on. The journey towards a truly self-sustaining bio-sphere is a celebration of nature at its best, one that we are sure, many of you would like to join us in.